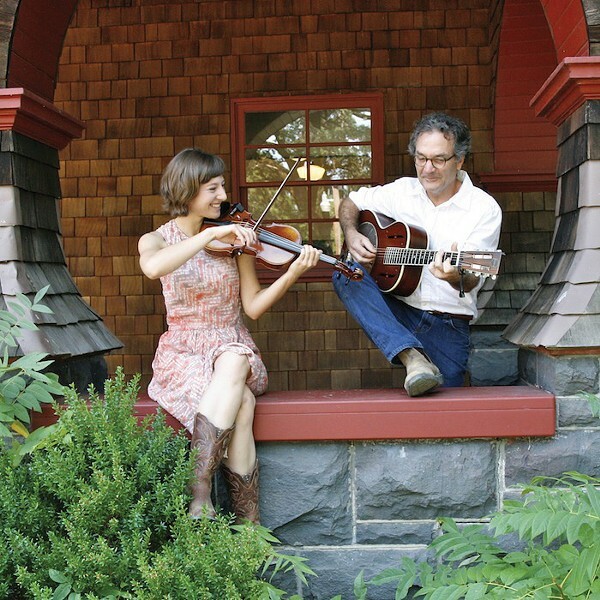 PICKIN' AND GRINNIN' Musicians Dan Imhoff and Yvette Holzwarth met at a benefit show. Author and activist Dan Imhoff is nationally known for his work on ecological sustainability and conservation. Here in the North Bay, he is also known as a prolific songwriter and guitarist with Americana band Cahoots. This week, Imhoff unveils a new collaborative with classically trained violinist, vocalist and composer Yvette Holzwarth called Owl Country. The duo's debut self-titled album, released Feb. 10, is old-timey folk with a fresh, eclectic approach. Speaking by phone from his home in Healdsburg, Imhoff praises his musical partner and the varied guests that all played on Owl Country's debut, including blues man Charlie Musselwhite and mandolin genius David Grisman. Holzwarth migrated to Sonoma County after working in Los Angeles. She met Imhoff at a benefit in 2013 and soon joined Cahoots as a regular player. "Her violin was stunning, and she was a fearless harmonizer and singer. And though she knew very little about Americana music, she just jumped right in—a born musician," says Imhoff. Interested in working in a duet format, Imoff and Holzwarth decided to focus their efforts on recording an album. "We really did learn how to work together and collaborate," says Imhoff. "The first song we wrote together ['Atonement'] started from an Aldo Leopold essay, and we just pushed it around lyrically and melodically. She could always hear rich string arrangements and I could hear pedal steel guitar, so those came together as one musical idea." The involvement of Grisman and Musselwhite also influenced the sound of the record. Imhoff actually had Grisman's autograph as a kid growing up in Pennsylvania. "This guy was a huge hero of mine, and to have him on this record was one of the great days of a really good musical project," says Imhoff. "It was really special. Nobody plays like him; he made the songs he's on really sparkle." Speaking of Musselwhite's contribution, Imhoff exclaims, "It was a total thrill!" The famed harmonica player couldn't make it to the studio, but he overdubbed parts on the bluesy track "Sacred Ground," and transformed the track into a soulful jam. Other acclaimed Sonoma County musicians like pedal steel player Dave Zirbel and bassist Chris Amberger filled out the rest of the cast. There's even an R&B influence in the rhythm section courtesy S.F. hip-hop drummer PC Munoz, mixing a jazzy undertone into the Americana palette for a well-rounded sound. With Holzwarth currently enrolled in a masters program at the California Institute of the Arts, any upcoming Owl Country live dates are uncertain, though Imhoff looks forward to sharing these new songs in the future. For now, Owl Country's album can be heard and purchased at owlcountrymusic.com.